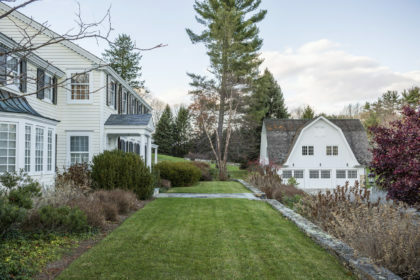 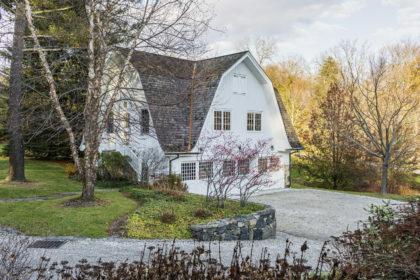 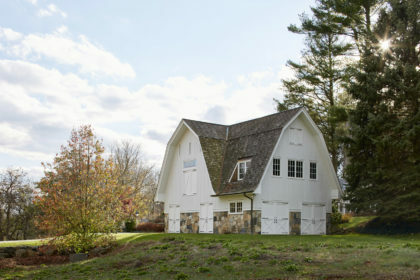 This unique dual-use structure is situated at the plateau of a long approach drive fronting an elegant farmhouse motor court on eight backcountry Greenwich, Connecticut acres. 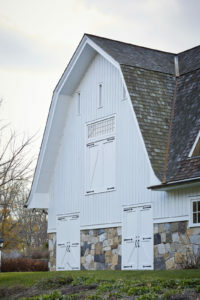 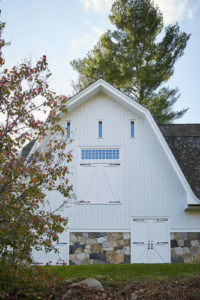 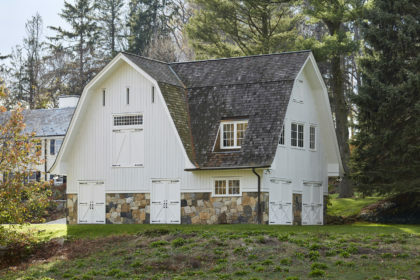 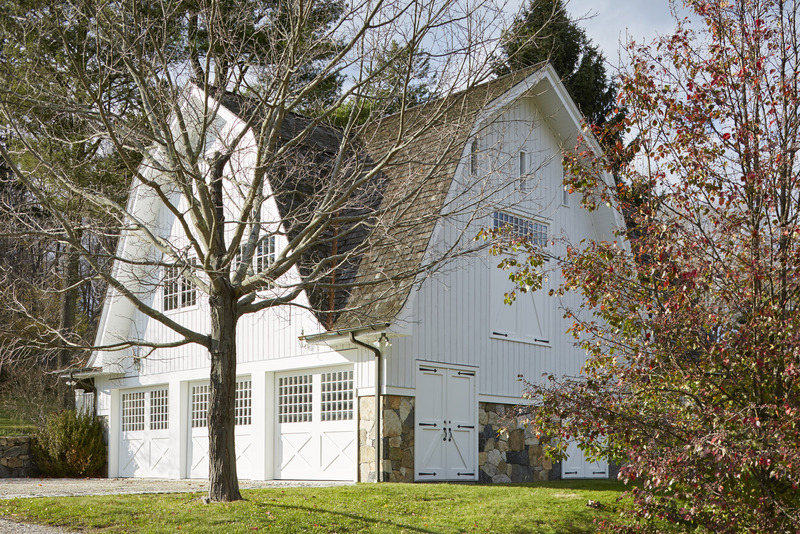 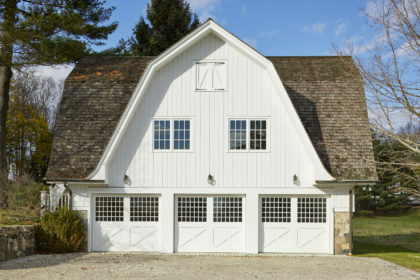 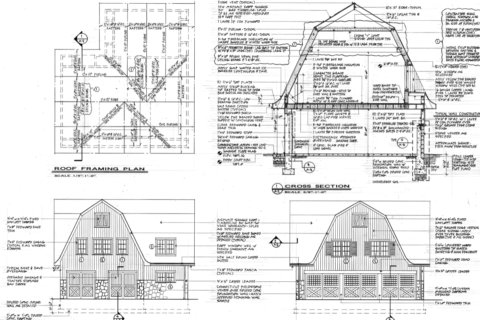 The program requirements in the client’s brief for this project stipulated garaging for four cars and a self-contained guest suite above, with the exterior appearance evocative of a traditional New England dairy barn. 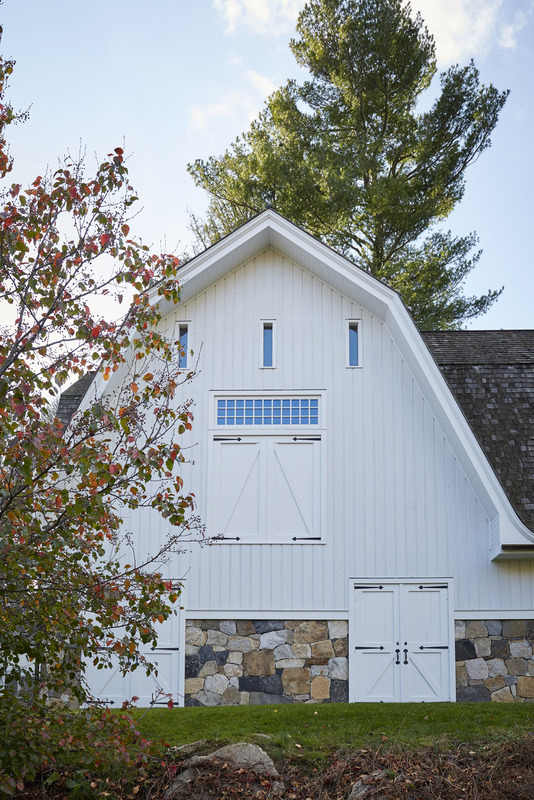 The resulting composition has two juxtaposed gambrel roof masses with vernacular elements including vertical siding and field stone base, hayloft doors with multi-paned transom above and narrow windowed attic lites mimicking traditional ventilation openings. 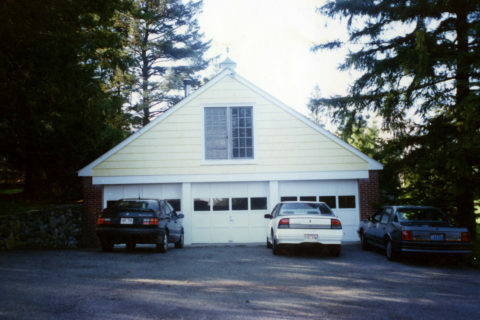 The building was designed with enhanced depth facilitating tandem parking on the garage level and, as conceived, reducing the apparent mass of the structure. The guest suite above the garage consists of a 20×32 foot cathedral ceilinged great room with hand-hewn oak beams, and south facing windows overlooking a rolling meadow below. The balance of the guest suite space consists of a bedroom with garden views, full bathroom, and kitchen area.